Great for old fans, new fans may want to check out the manga! Now for a full review. Saiyuki is a 20 year old series. Don't base your impressions 100% on this first episode. To REALLY enjoy this series, I would recommend diving into the manga. There's 19 volumes so there's a lot of awesome content to read up on. Saiyuki is an action series, but a good portion of it is actually focused on watching these 4 guys grow as characters. Unfortunately by this point in the series, you don't see much of that, but old school fans have and that's why so many people are excited about it. This series hasn't seen an animated adaption in almost 15 years. The animation is not something you'd expect from, say, UFOTable or KyoAni. Platinum Vision is a new studio and they are testing the waters. The problem is, in the manga, Saiyuki is INCREDIBLY detailed.Click here for a spoiler image http://3.p.mpcdn.net/34610/752621/27.jpg?1439524846 to see what I mean. This series wont be for everyone, but there's thousands of people who will love this series, because we love these characters and we love the author, Kazuya Minekura. We want to support this series and see more of it. Even if the anime isn't perfect, it's much, much better than its previous incarnations and I can't wait to see more of it. I will update this review at the end of the season. The first episode may confuse new audience since it doesn't provide much information about the series as a whole or what happened before. 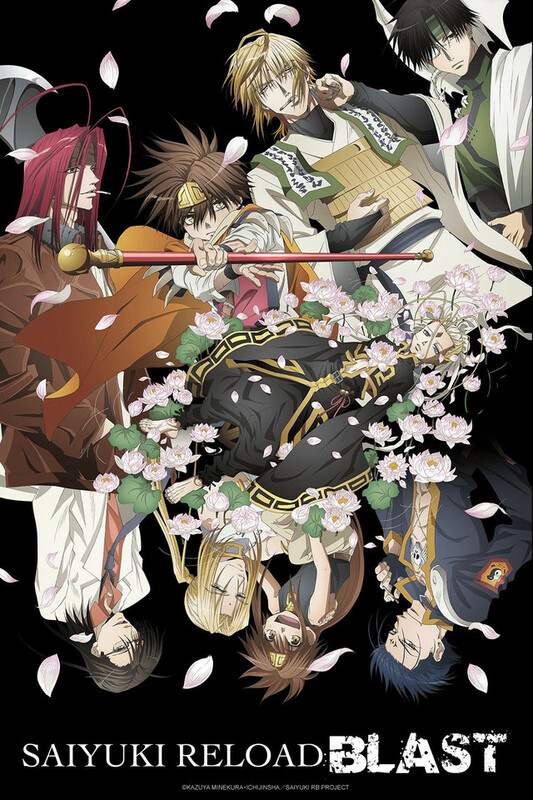 But as a fan of Saiyuki for almost 20 years, it's still good to see the anime back. It's a pity that some details from the manga may be missing, but I guess this is hard to avoid considering the length of each episode and the series as a whole. Considering there will be only 12 episodes, I hope this season can stick to the manga faithfully. At last, I also love that they managed to keep Urasai in this season. I wanted to make a comment about the artistry for this anime since many people are complaining that it isn't very good. My thought about it was that, it must be an old series and they want to pay homage to the original work. They must want to respect viewers of the original series. I was not bothered by the artwork at all. I also was not bothered by not being fully introduced to the characters since I figured this was either a continuation or reboot of an old series. So, over all it looks good as an action anime and I am looking forward to seeing how it progresses. I'm convinced that people are either smoking crack or have an agenda, because this is like that rare gem you find on Netflix. Wasn’t aware that its a 20 year old anime but it doesn’t matter in the least or that it doesn’t explain everything to you from the get-go… If every anime did that then it would be pretty repetitive. I don’t mind a little mystery or things to slowly unfold. What matters most is its entertaining & overall quality, and I find it refreshing compared to the majority of stuff out there. Has a little bit of an old school vibe that reminds me of Trigun or something, but its more of what you would expect in this day and age. This is the kind of series I look for. Great character depth and story depth. Good mix of action, comedy, and more personal and philosophical moments. Visually gorgeous. I have gone back to watch all previous series and bought the manga. The only thing I regret is not having known anything about Saiyuki before. Saiyuuki Reload Blast is the latest season of the Saiyuuki Reload series and in it the westward journey of the four main characters continue. As someone who decided to watch this even without checking out the previous seasons beforehand, I thought the anime was good overall.I thought the story was simple enough so that even a newcomer wouldn't feel too lost. I also appreciate the fact that some episodes were set aside to animate some parts from earlier on in the series which gave some backstory to the main characters. The art was very good and the animation was good although the way the show went about using it's animation style made me feel like if maybe there was a limited budget available and they had to find ways to be clever with how they animated the fight scenes. The characters are very likable even though personally I don't have much of an attachment to them. Most of negative experience from watching Saiyuuki Reload Blast comes from the fact that trying to get through the episodes sometimes felt like a chore. This isn't really too much a fault of the show and I'd want to blame it on me being a newcomer. Even if I were to take away that fact, it would not have been enough to bump up the score too much higher than what it already is. I'll conclude by saying that watching Saiyuuki Reload Blast was a nice experience as a newcomer and I'd recommend it to other newcomers as well. Maybe if you really enjoyed it, consider giving the manga or the older anime seasons a chance. The mix of modern and olden day. Beautiful animation. Action. Comedy. I Highly Recommend! I hope it continues! There are power. Many characters. The suspense from each episode kept me going. The flash backs were not extremely boring, for it gave some insight as to what was going to happen next and allow the viewer to understand what was going to happen. New to series, and love it. I just started watching this two days ago , and at first i was like its OK but I've found myself trying to watch it with any free time i have! the only new anime ive been watching is classroom of the elite, i tried a few other animes but i just didn't really like them. but this one is good! I'm really enjoying this show. Took me a while to get hooked, but now I'm dying to know more about the backstory and see where it goes (guess that means I'll be checking out the manga). The artwork is throwback style, but it's really well done. Music is great, and the premise is good. But I'm hooked so I'll be hanging in there.